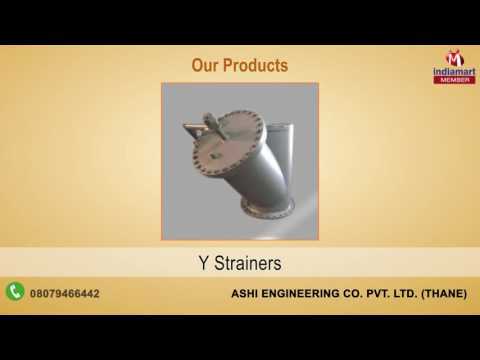 Established in 2001, with in-depth and immense knowledge, Ashi Engineering Co. Pvt. Ltd. has successfully crafted a position as one of the noted manufacturer, exporter and supplier of Strainer and Fabrication Services. We are widely acknowledged by our esteem clients for providing premium quality Tee Strainer, Basket Strainer and Pot Strainer. Capitalizing on our industrial know-how and innovation philosophy, we strive to improve our existing line-up of products and develop new ones to stay ahead in this competing domain. The active support provided by our experienced workforce and advanced manufacturing unit have helped us enormously in meeting our customer's requirements in Power Plant, Food Industry, Marine Industry, Process Equipment, Paint Ink & Latex, Chemical processing. Moreover, our professionals keep themselves abreast of changing market demands and technological advancements to surpass the expectations of our valuable patrons in Asian Countries. Moreover, our offered MS and SS Fabrication and Bridge Structural services are broadly commended and cherished owing to its low cost and excellency.